Thus far, Christine from KingRex had contacted me for reviewing nice new things they introduced. This time it was a request from a friend that prompted a review. 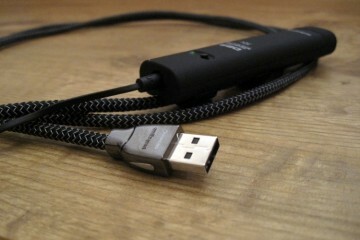 After demonstrating the KingRex uArt USB Y-cable at his house he was, like me, impressed with its quality. 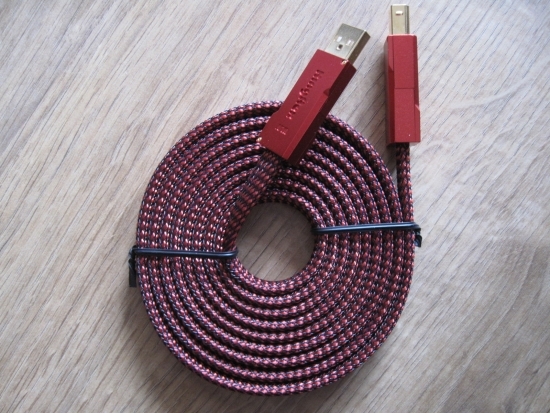 However, he rather had a single version of the very same cable, without the need for an extra power supply. I figured why not ask KingRex if they could supply one, or if they could point me toward the Wireworld model that they used as basis. As it turned out the Wireworld cable used isn’t a standard version. It is cryogenically treated and modified with special damping. But to my surprise, there was actually also a single version already in the planning and once again Christine was happy to supply one for review. Test setup is with my regular Macbook Pro, connected to the KingRex UD384 with USB cable into the PS Audio PWD MKII USB DAC/UPnP streamer, then into the regular setup. Playback software this time was the standard iTunes (Pure Music license expired). As can be seen from the image above, the uArt-S cable is packed very neatly and looks like candy to the eye: it is just beautifully finished. On closeup, seen on the picture below, the connector is a marvel of aluminum machining. But beauty is only on the surface. It is what’s inside that really counts, and the same is true for the uArt-S. Normally I first listen to the “lesser” product, then step up. This time I turned that around and started listening to the uArt-S straight away. 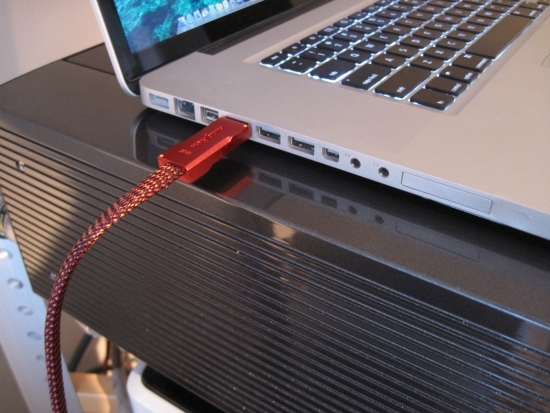 As I already knew from the PWD, the Macbook sounds very good as a source for its USB input. This is most likely a result of the built-in Digital Lense which eliminates jitter in a PS-exclusive manner. Still, and rather counter-intuitively, it has already turned out that this doesn’t mean that the USB cable isn’t important anymore. This was clear in the tests I did with the KingRex uArt Y-cable into the KingRex UD384 USB-SPDIF converter, and once again it turned out to be true during this test. I played a selection of tracks and concluded that they all sounded great. Not as good as when using my new favorite streamer, the Meridian 818, but then again, that one needs an all-Sooloos environment and also costs an arm and a leg. Still, the humble Macbook, using the KingRex uArt-S USB cable into the PS Audio PWD MKII, achieves a very involving sound, a sound that is easy to listen to, yet is full of detail and with a, for a Macbook, surprisingly solid foundation. Then I took out the uArt-S and replaced it with a standard USB cable (the one supplied with KingRex UD384) and listened to all the same tracks that I listened to using the uArt-S cable. Yup, there it was again: the ridiculously large difference, perhaps even more startling because I first listened to the better cable, and gotten used to that sound. What I was hearing now with the standard cable was simply inferior in all departments. As with all comparisons that I do, I repeated the test by swapping back and forth again. Right before swapping back to the uArt-S, I heard a track that sounded very good, even with the standard cable. I wondered whether this track, too, would be so greatly improved by the uArt-S. 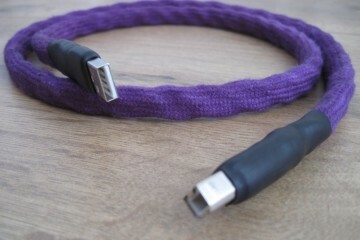 While walking back after the swap to the listening position it was already clear that the foundation had improved and after sitting down it took no more than 10 seconds to realise that listening to a standard USB cable would from now on be frowned upon. Not only was the bass fuller, deeper, tauter, also the midrange was much more believable, riper, more authentic. But most impressive was the change in soundstaging. 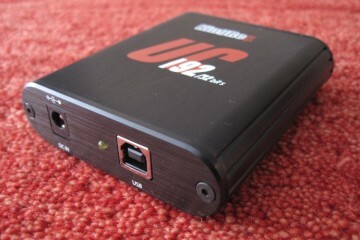 The uArt-S is to soundstaging what a Sony CD player is to a Wadia. It is simply no comparison. 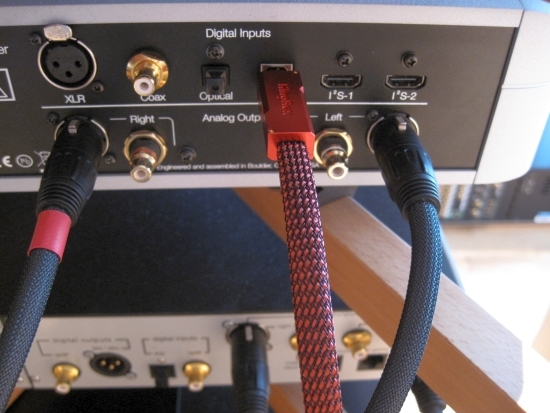 The standard cable sounds matter-of-fact, thin and uninspiring. The uArt-S sounds live and breathing, wide and spacious and precisely focused at the same time and the cable makes the best of the PWD’s soundstage layering in the depth field. 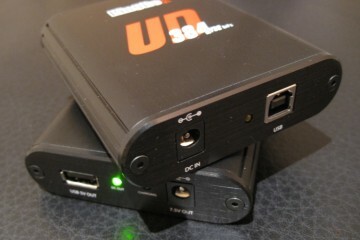 At 195 euro for 1 meter and 220 euro for 2 meters, the uArt-S isn’t cheap if you’re thinking in standard USB cable terms. 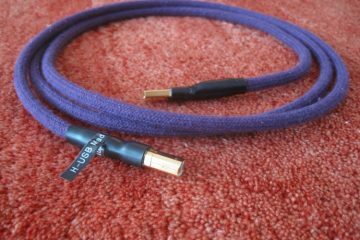 But compared to highend USB cables from competitors, it is actually more friendly priced than most, while being finished to a higher standard. 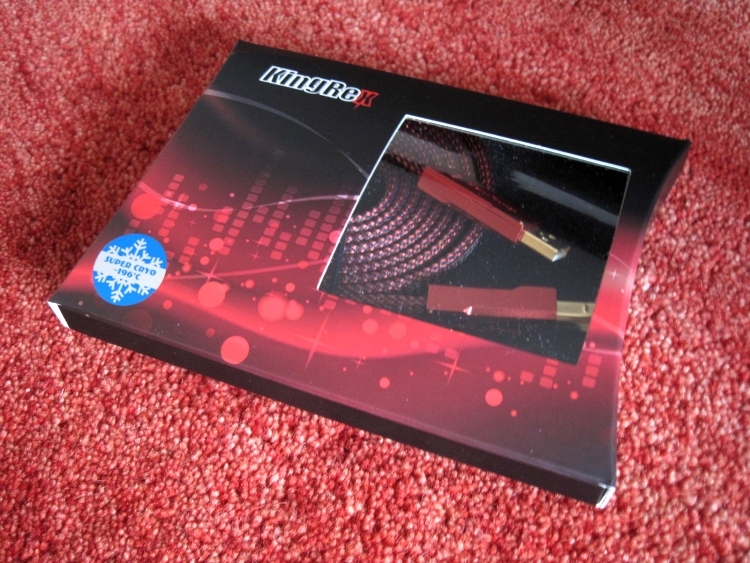 If you then think of pricing for highend interlinks, it even looks to be dirt cheap. 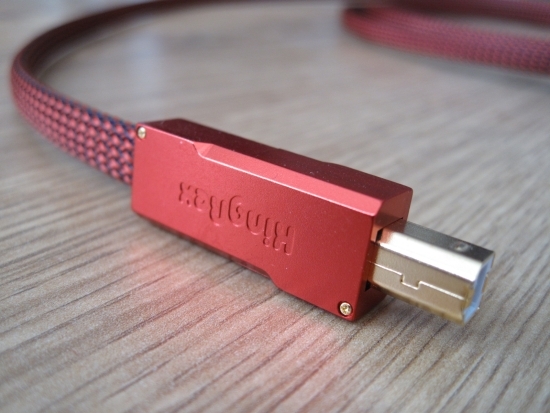 Look at it however you will, but as mentioned in the beginning of the review, it is what’s inside that counts, and if you’ll just give this cable a try, the very large improvement in sound will win you over. I promise! If you’d just give it a try you would find that they do indeed affect the audio quality. 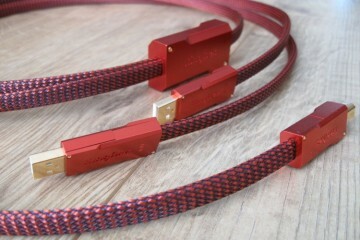 Especially KingRex and WireWorld sound quite different from most regular cables.